Where are the Free Developer ID Certificates, Apple? Before the release of Apple’s OS X Mountain Lion, when the Gatekeeper feature was first announced, Apple proudly proclaimed on the relevant page that developers distributing their apps outside of the Mac App Store would be able to get a “free Developer ID certificate”. Unfortunately, I did not have the foresight to screenshot the page that said this, because now, even a month after the release of Mountain Lion, their generosity appears to have evaporated. Only Mac Developer Program members are eligible to request Developer ID certificates and sign applications or installer packages using them. The aforementioned Developer Program(me) is the standard, $99/£69 per year subscription that entitles you to full Mac App Store distribution rights. Unless I am missing something obvious, and I really wish that I am, there are no free Developer ID certificates. This disappoints me — I cannot justify enrolment in the paid program for DfontSplitter for Mac, which doesn’t generate me significant donation revenue at all. This means I cannot sign DfontSplitter for use with Gatekeeper, which degrades the experience for Mountain Lion users of the software, and maybe even puts them off entirely. I am definitely in favour of security measures that put the control in the hands of the user. I cannot, however, get behind a system which appears to discriminate against all developers who are not in a position to join Apple’s certification programme. I am left disappointed, and my app is left unsigned. 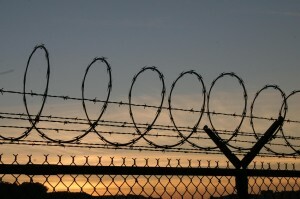 Photo is Barbed Wire Twilight, by Orin Zebest. Licensed under CC-BY 2.0 GB.